The EverGreen Agriculture Partnership (EVAP) is a collective of organizations an d with a shared vision of agricultural systems that can sustain a productive green cover on the land throughout the year, for the benefit of the land and livelihoods of smallholder farmers around the world. Our vision is to use EverGreen Agriculture systems to increase food and nutritional security and resilience while enabling climate change adaptation and mitigation across Africa. What do we work towards? The concept of an EverGreen Agriculture Partnership was first initiated at the Beating Famine Conference in 2012 where partners declared the need for an association to facilitate more effective collaboration in the development and scaling up Evergreen Agriculture systems. The EverGreen Agriculture Partnership is currently hosted by the World Agroforestry Centre (ICRAF), whose EverGreen Agriculture designation is the International Centre for Research in Agroforestry (ICRAF), based in Nairobi, Kenya. The Partnership is led by its founders, and is growing daily as many more become interested and committed to finding sustainable and productive agricultural systems, resilient and adaptable to the challenges to come. The organizations who made this possible include: World Agroforestry Centre, World Vision International, World Vision Australia, The World Resource Institute and The African Forest Forum. As the founding members, the five organizations form the Steering Group. 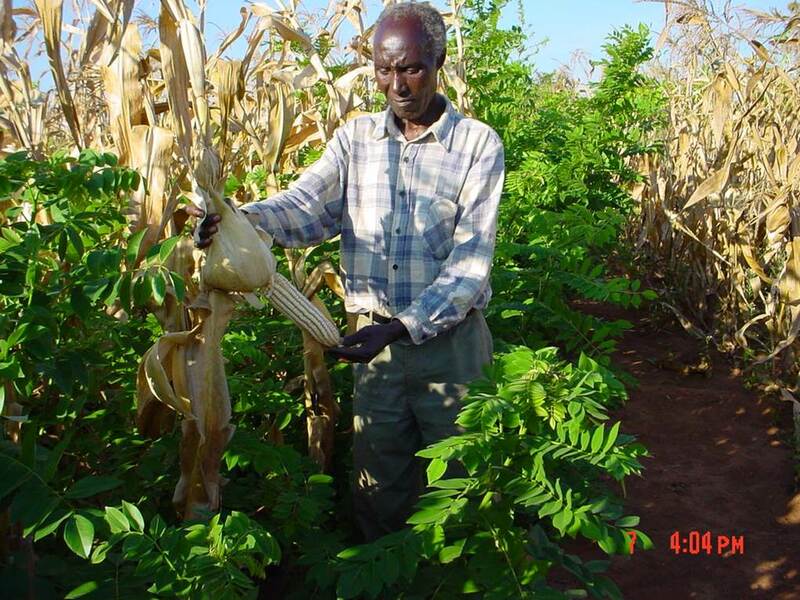 National/ Regional Evergreen Agriculture Networks are also emerging to work at a more local scale, to support the integration of Evergreen Agriculture into national policies, strategies and agricultural development projects on the ground. 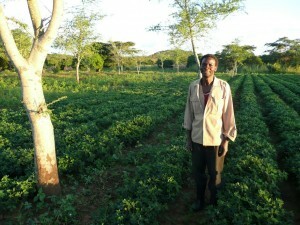 for example: Building a Large Evergreen Agriculture Network for Southern Africa (BLEANSA) – http://bleansa.net/. 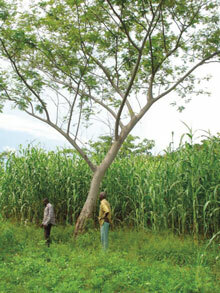 The World Agroforestry Centre (ICRAF) is one of the fifteen CGIAR Consortium Research Centres. ICRAF has its headquarters in Nairobi, Kenya, with five regional offices located in Cameroon, India, Indonesia, Kenya and Peru. It is guided by the broad development challenges pursued by the CGIAR which include poverty alleviation, enhanced food security and health, improved productivity with lower environmental and social costs, and resilience in the face of climate change and other external shocks. With over three decades of work with smallholder farmers in Africa, Asia and Latin America, the World Agroforestry Centre is working on research and innovation in Agroforestry systems such as EverGreen Agriculture to address global development outcomes. For more information on the World Agroforestry Center see: http://www.worldagroforestry.org/. World Vision is a global Christian relief, development and advocacy organization dedicated to assisting children, families and communities to overcome poverty and injustice. World Vision works with the most vulnerable communities, religion, race, ethnicity, or gender to transform lives through sustainable development, emergency relief and advocating for justice in nearly 100 countries. World Vision International and World Vision Australia in particular, are leading efforts to increase the resilience of smallholder farmers through the incorporation of trees into their farming systems. The Food Security and Climate Change team in World Vision Australia is the global leader and host of the Farmer Managed Natural Regeneration Hub. 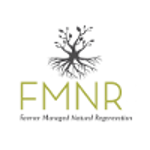 The Hub promotes and supports the adoption of FMNR globally through coordination, communication, collaboration, technical support, building scientific credibility, advocacy and project fundraising. For more information see: www.fmnrhub.com and http://www.wvi.org/natural-environment-and-climate-issues. WRI is a global research organization that spans more than 50 countries, with offices in countries including the United States, China, India and Brazil. They work closely with national leaders to turn big ideas into action to sustain our natural resources, the foundation of economic opportunity and human well-being. WRI’s work focuses on six critical issues at the intersection of environment and development: climate, energy, food, forests, water, and cities and transport. WRI in particular is leading efforts to map and monitor global forests and trees in agricultural lands through efforts such as Global Forest Watch (GFW), a dynamic online forest monitoring and alert system that empowers people everywhere to better manage forests. In addition, WRI provide research, policy and advice on re-greening activities such as FMNR in agricultural lands, particularly in the drylands of the Sahel and West Africa. For more information see: http://www.wri.org/our-work/topics/forests.